Criminal Minds Wins People's Choice Favorite TV Crime Drama! 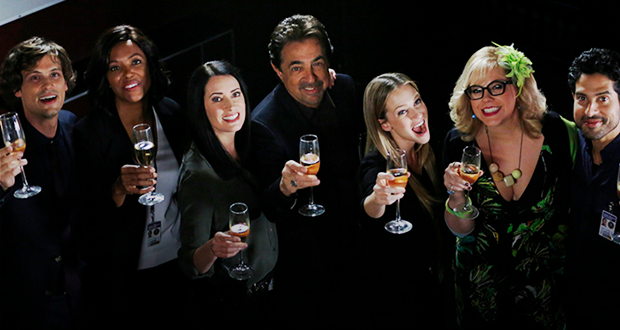 Criminal Minds Wins People’s Choice Favorite TV Crime Drama! This feels super, super sweet after all the bad vibes from the #NoHotchNoWatch people. I understand they miss the character but a few of them are rude to the cast and crew in all posts in all social media. Here is hoping MGG stays, they get Mr. Scratch this season and somehow the convince Shemar to make it for the season finale party at Rossi’s. And that by April we get a confirmation for a 23 episode season 13 to have CM300! Hugs to everyone. Yes, yes, yes! Both thunbs WAY up to your comment! I want all those things you mentioned to come to pass. And you’re right, it does feel exceptionally sweet in light of the way the writers and producers have been abused of late. May this be one victory in a long line of continuous many! On one hand, I really congratulate them for winning Best Crime Drama. They definitely deserved it after that show Castle won every single time. But on the other hand, it feels rather hollow to me. Don’t know why, but the award seems like a hollow win for me. I have no idea why I feel like this, but I do. To my way of thinking, this award is more of a victory than even an Emmy would be at this point. This award is voted on by the viewers, the public, the fans… not a committee. It’s telling to me because it shows that even when a small fraction of fans break off and try to sabotage the show, that the fanbase is still strong enough to elicit an actual WIN as FAVORITE. That’s a pretty big deal, the shows Criminal Minds was up against are no small potatoes. congrats, well deserved and hopefully it’ll give CBS the push to renew it. I wanna see 300. Congratulations to you guys well deserved!